I got all of the above (apart from the scissors) at Hobbycraft. 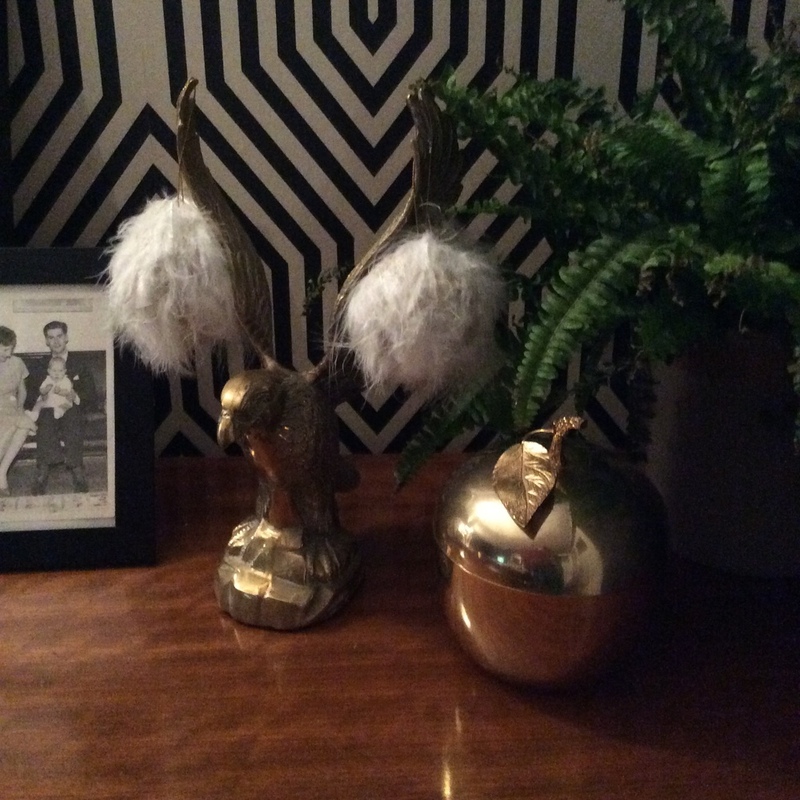 The feathers were £1.50 a bag, the baubles were 50p and the glue was about £2. 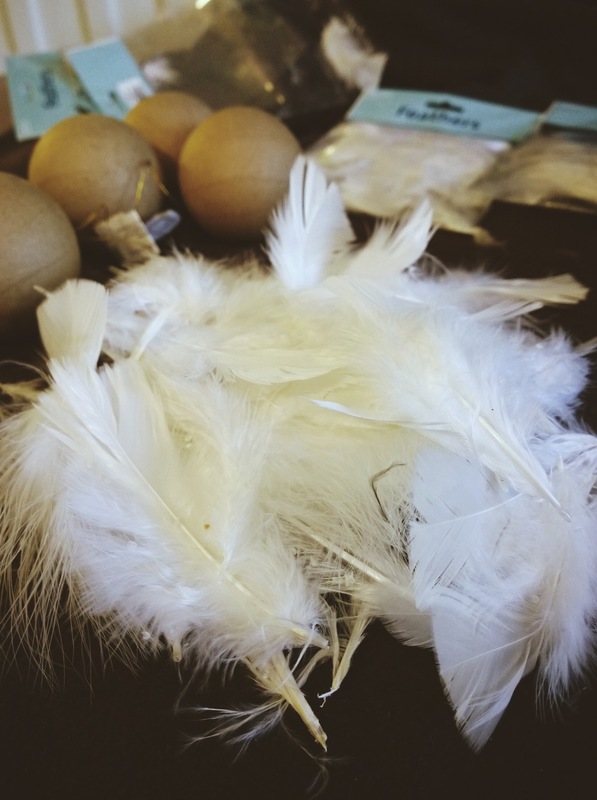 You probably need about a bag of feathers for each bauble depending on how economical you can be! I got a few bags just in case (but I had loads left over). These babies will be the first layer of the baubles. As the baubles are made from cardboard they need to be covered by a flat white layer first. 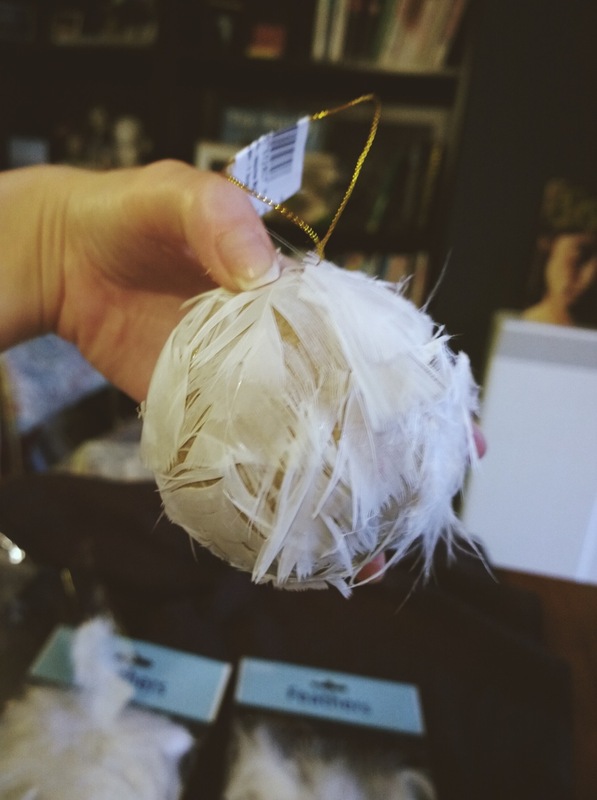 Snip the flat ends off of your feathers to stick onto the bauble. 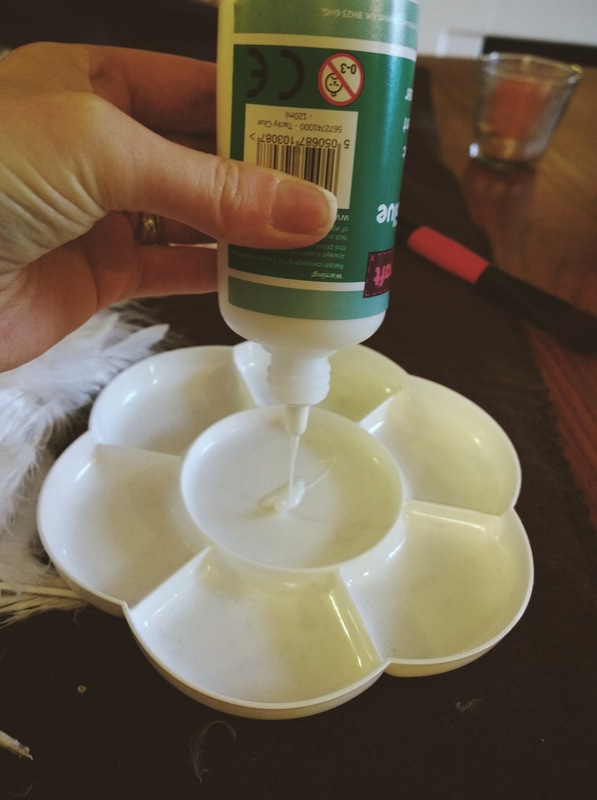 Start painting your glue all over one side, but leave the other side dry so you have something to hold. 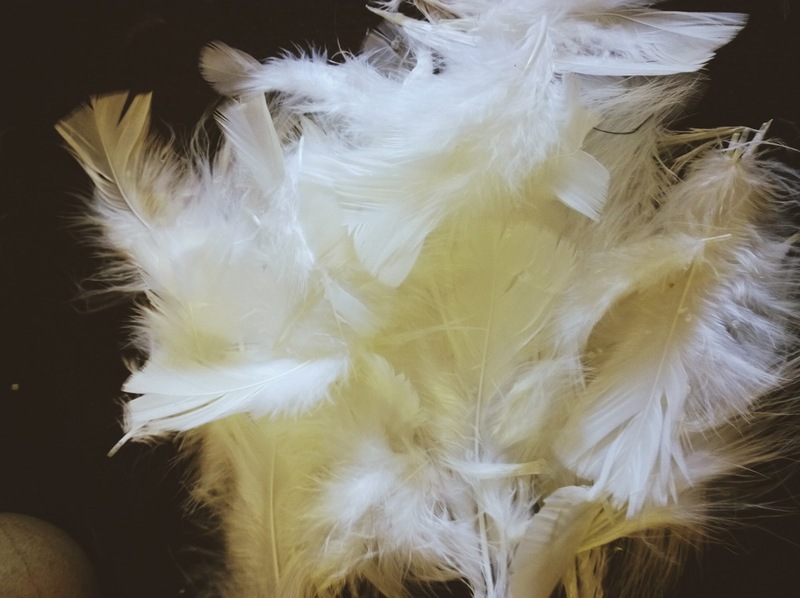 When sticking the flat bit of the feather you want to make sure they are all pointing in the same way that they would if you held the feather downwards by its tip. Go and make a cup of tea and wait for it to dry. Now you need to go back to your fluffy feather pile and find all the cutesy little ones that are all fluffy and sweet. These will make up your top layer. If any of them have thick quills, then either snips them diagonally halfway down to where the quill is thinner, or don't use them and look for thinner ones. Much easier. Now you want to stick all the little fluffy ones over the underneath layer of your feathers. Start on one side of the bauble and work your way around. 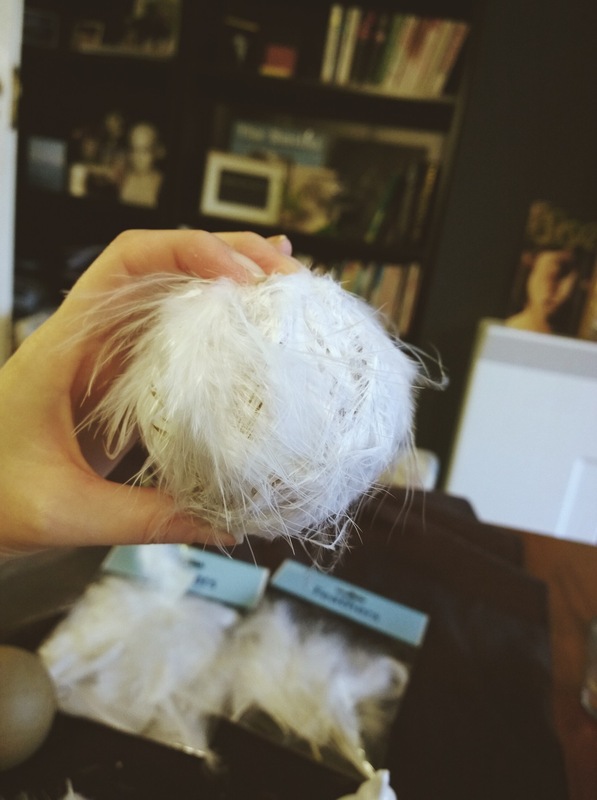 Lastly, you just want to give it a once over and look for any 'bald' patches of your old man's head or any clumps of glue and just make sure it looks all feathery and nice. How do you think the non-crafty girl did? Would you try this out at home?